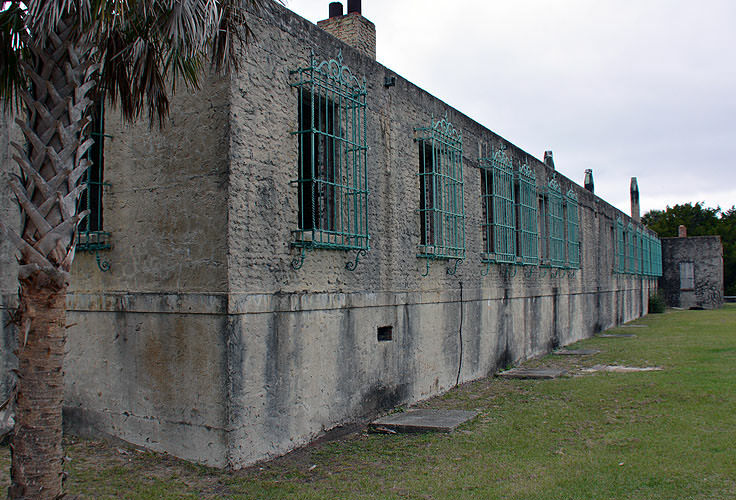 The Huntington Beach State Park, located adjacent to the acclaimed Brookgreen Gardens, is a secluded paradise which combines miles of waterfront views with pristine beaches, towering Palmettos and maritime forests, and the almost-spooky and unoccupied ancient retreat that once belonged to one of the Grand Strand's most famous citizens. 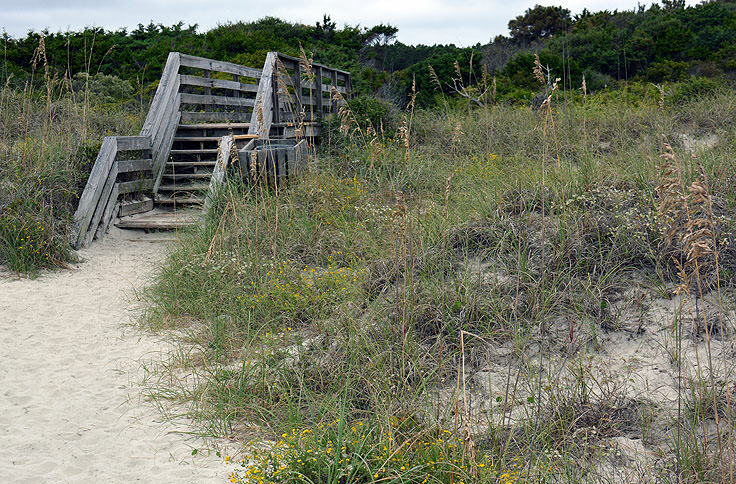 This unique combination of manmade and natural sites, combined with more than three miles of undeveloped beach and thousands of acres of Murrells Inlet terrain to explore, makes this state park one of the most unique and remarkable sites along the Grand Strand, and a stand-out attraction for its quiet, natural setting, that belies the busy neighboring beach towns. 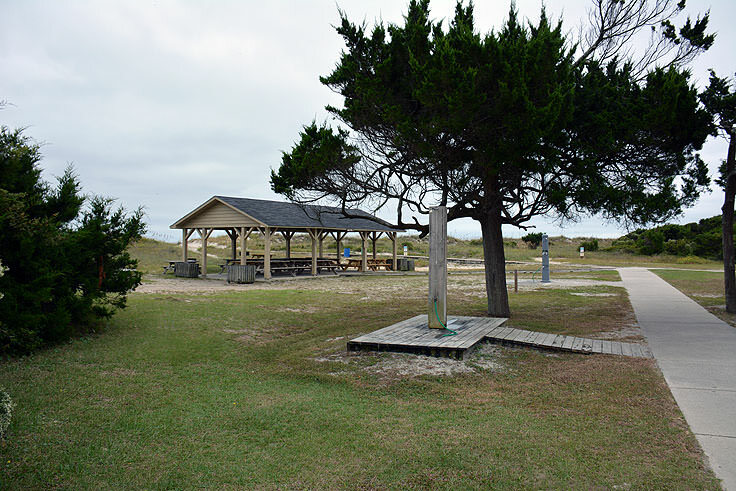 The park has an incredible locale adjacent to the open waters of Murrells Inlet along the Atlantic Oceanfront, and as a result, is one of the most unique public beaches along the Grand Strand coastline. The impressive 2,500 acre property features miles of unspoiled beaches, a network of saltwater and brackish estuaries, and acres of marshy and wooded terrain, which effectively creates one of the most diverse ecosystems around, tucked in between the hopping Grand Strand beach communities. Because of this diversity in 2,500 acres of space, Huntington Beach State Park has become a nationally recognized Mecca for bird watchers, as more than 300 different migrating and permanent species have been spotted at the site in varying locales, including in the woods, along the marshes, and scurrying along the oceanfront beaches. Visitors will find plenty of long and winding nature trails, complete with well-tended paths and above water boardwalks, to explore the park in its entirety, and capture a few photos of the park's famous feathered residents. Of course, birds aren't the only unique local resident to call this region home, and visitors will find an abundance of different environments, from salt marshes to fresh water lagoons, which accommodate a wide range of species. Turtles, reptiles, otters, mink, deer, foxes, and even alligators have all been spotted within the park, making it a great destination for nature lovers of all interests. 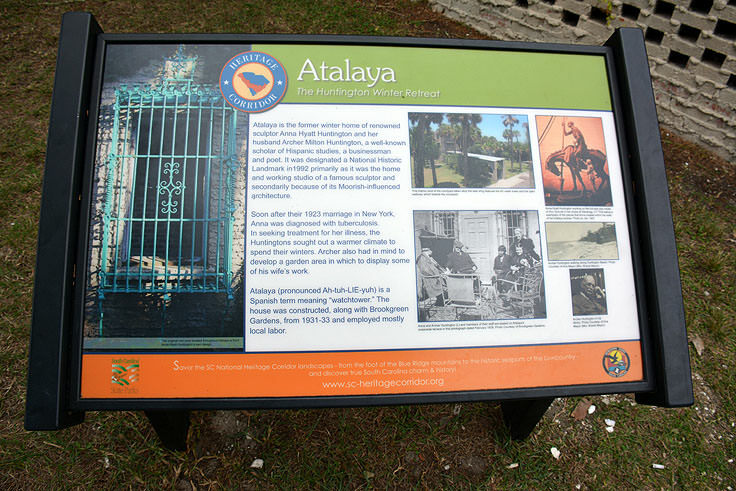 The unique contrast to this natural setting, which truly makes the Huntington Beach State Park stand out among other state parks in the region, is the acclaimed Atayla, which is located along the southern end of the park. 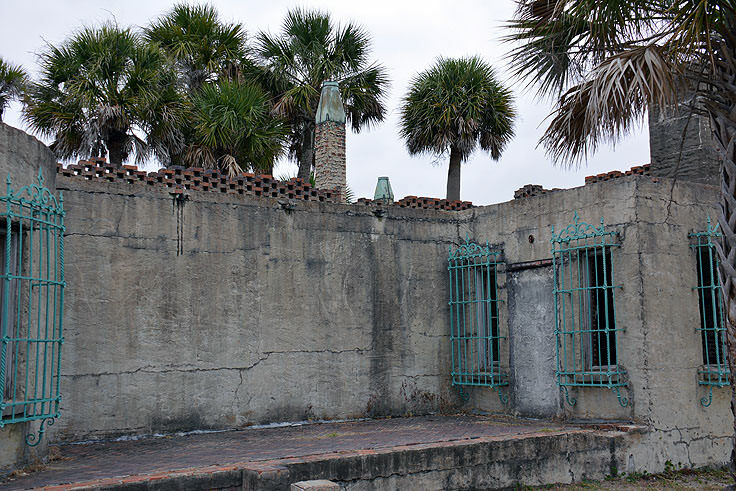 This beautiful site is the former winter home of famous 20th century sculptor, Anna Hyatt Huntington, who was responsible for the construction of the neighboring Brookgreen Gardens, and is effectively an ancient oceanfront mansion which serves as a stunning look into how the Grand Strand's elite lived before the region became the famed vacation destination that it is today. 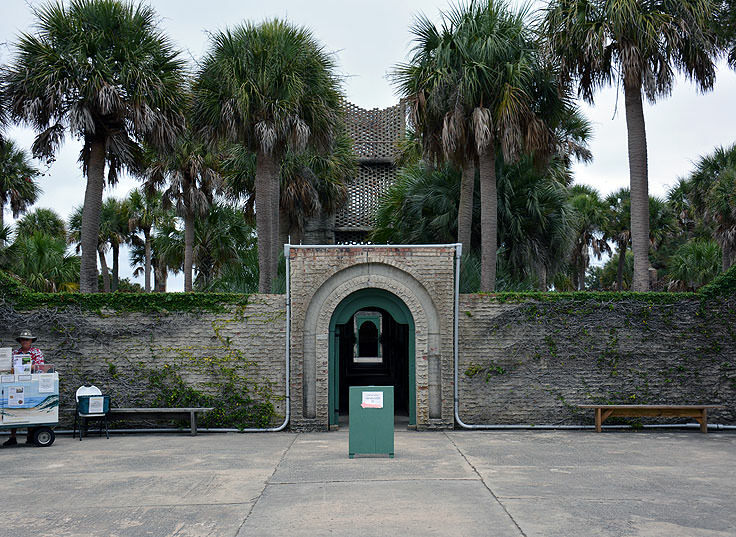 Visitors have the option to embark on a self-guided or docent-guided tour of the site, and are encouraged to take plenty of pictures along the way, or relax with a picnic lunch along the dozens of small tables that surround the site. 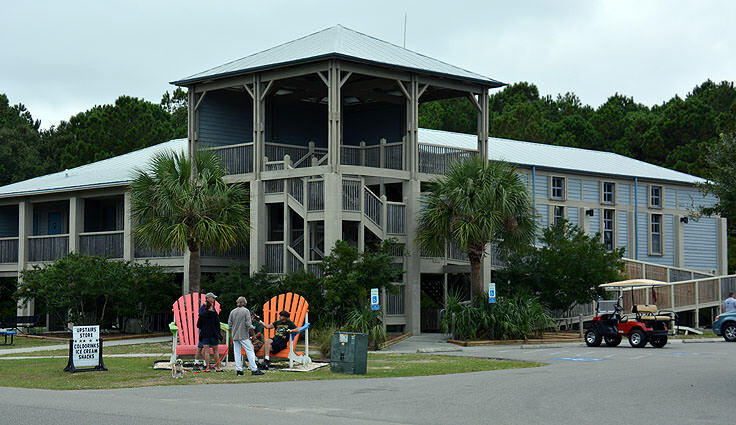 The other big attraction at Huntington Beach State Park is the Education Center, which serves as a launching point for virtually any exploration of this wild terrain. 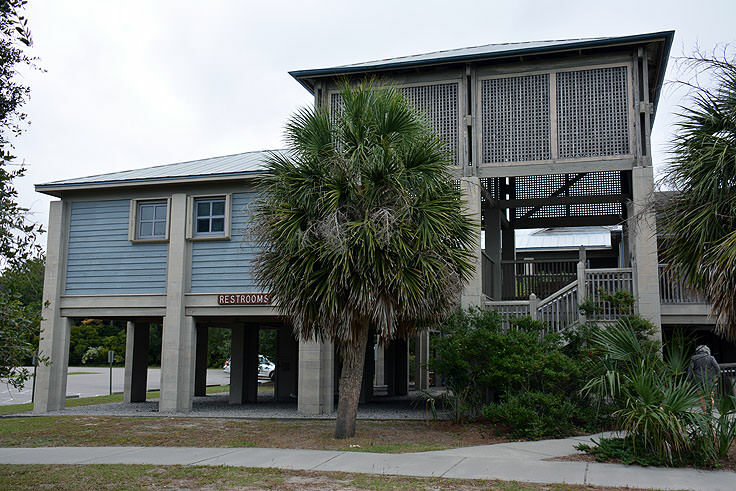 The center features a series of exhibits which allow visitors to pet a horseshoe crab or stingray, see a baby alligator up close, or garner an inside look at the local endangered and threatened species that call the park home. 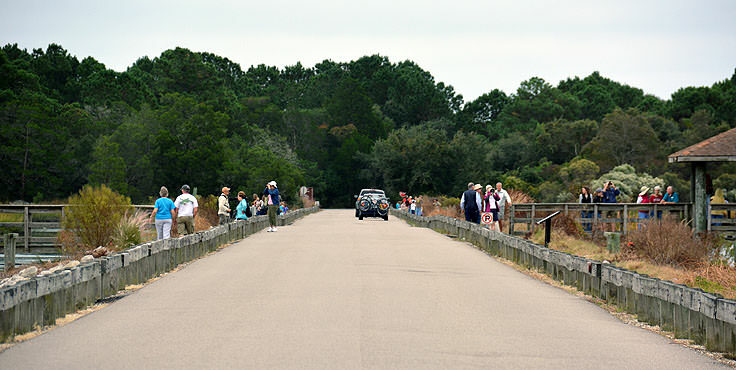 There's almost always something going on at the center, from regular Atayla Tours to birding sessions, crabbing lessons, and special programs on some of the park's more notable wild residents, and visitors can stay up-to-date on the events that coincide with their stay by visiting the park's online calendar of events at http://www.southcarolinaparks.com/huntingtonbeach/huntingtonbeach-programs.aspx. Of course, seashore purists will adore the Huntington Beach State Park for its miles of beaches, which are a far cry from the heavily developed, boardwalk-packed stretches of sand found just a few miles up the road. These beaches are completely undisturbed, and are ideal locales for swimming, (with seasonally available lifeguarded beaches), fishing, crabbing, beachcombing, and just stretching out a beach towel and admiring the view. 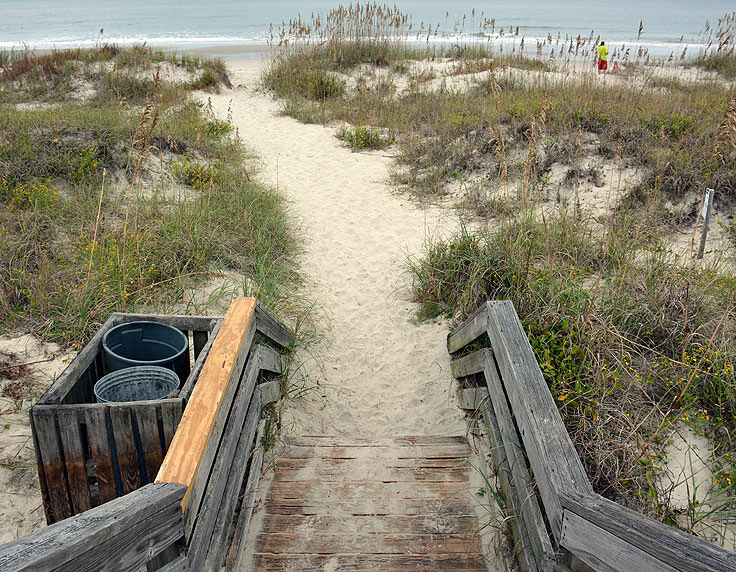 The shoreline has an almost tropical feel, with miles of towering Palmetto trees bordering the wide sandy beaches, and is a perfect destination for visitors who want to ditch the crowds and feel worlds away from the rest of the Grand Strand. 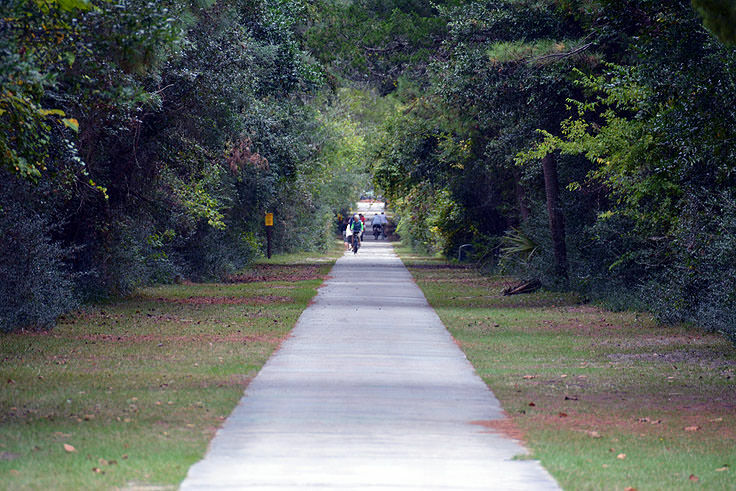 The Huntington Beach State Park is open daily for visitors, with hours that vary by season. Admission to the park generally runs around $5.00 per adult, $3.25 for seniors, and $3.00 for kids ages 6-15, and a complete list of seasonal hours and tour rates can be found online at http://www.southcarolinaparks.com/huntingtonbeach/hours-fees.aspx. 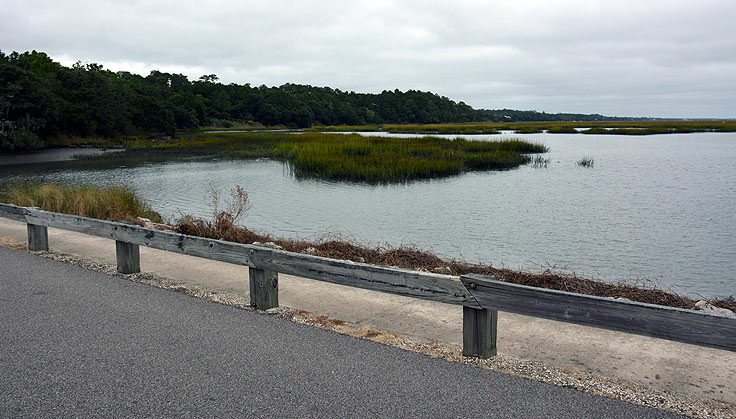 Huntington Beach State Park, with veritably just as much water as land in its 2,500 acre natural enclosure, is a unique destination along the Grand Strand which introduces newcomers to a unique slice of the natively wild South Carolina coastal life. 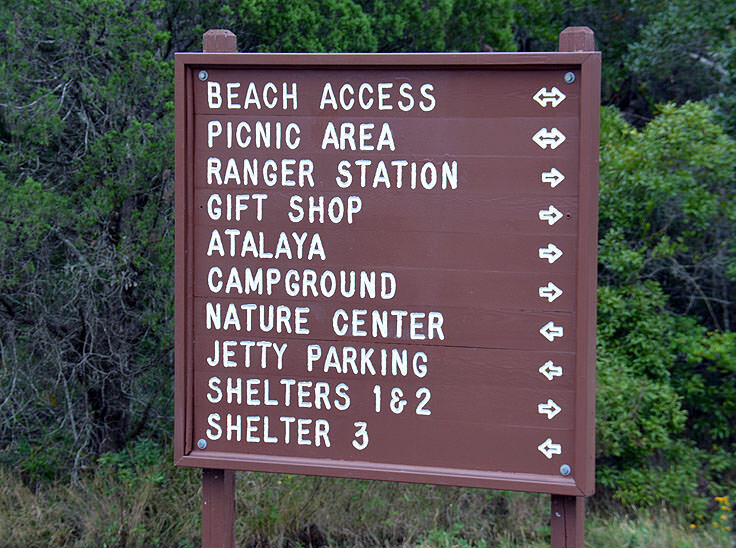 With miles of beaches and hiking trails to explore, and attractions which appeal to history and nature lovers of all kinds, this destination is a perfect respite for visitors who love the busy beachside attractions, but who also truly appreciate an undeveloped and practically perfect section of pristine shoreline.